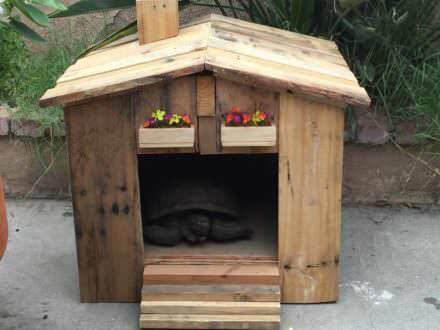 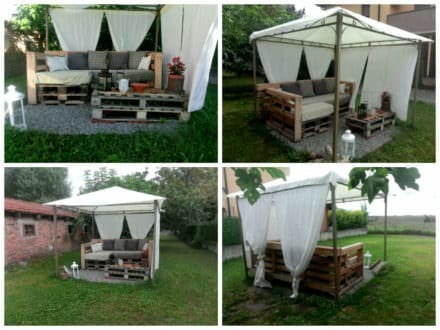 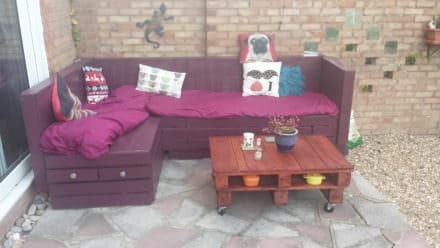 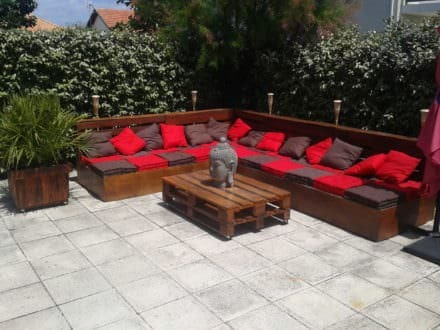 Here is my complete garden lounge made out of recycled pallets and other boards. 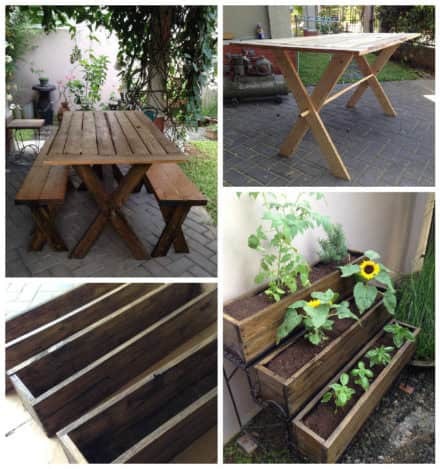 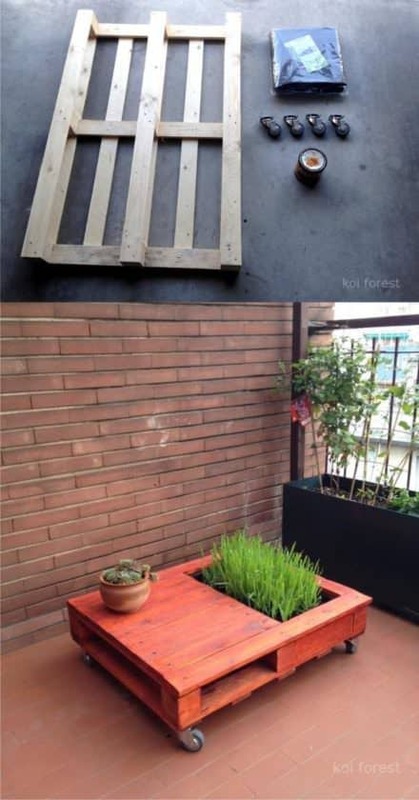 I’ve chosen to transform my coffee table into an interior garden with reclaimed pallets. 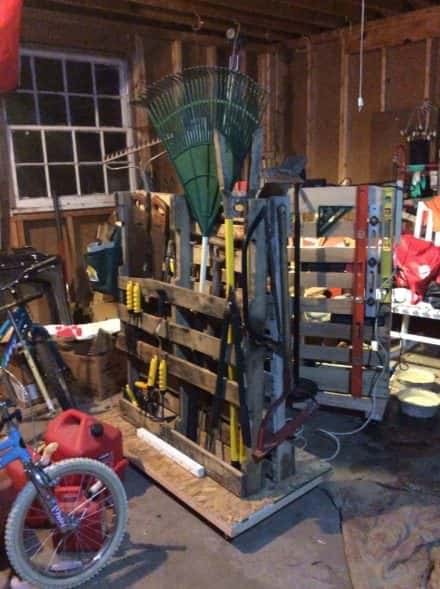 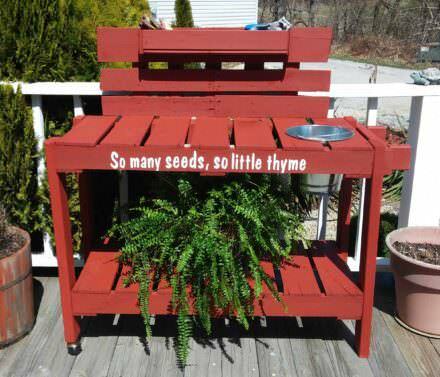 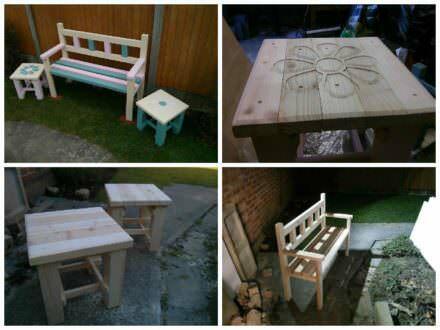 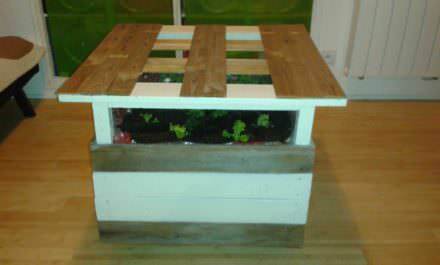 Pallet potting table with 2 casters to easily move, a towel rack and a galvanized pale. 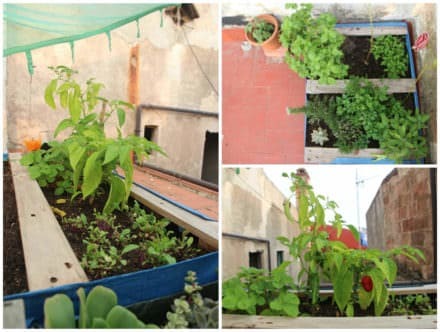 Make your own small garden for the roof and grow amazing-healthy little veggies! 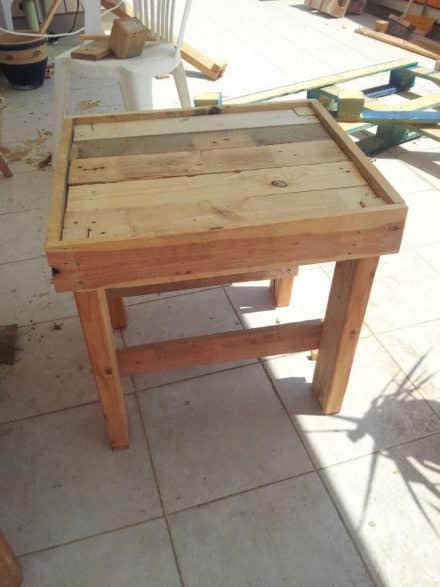 My brother moved to a new house and needed a nice coffee table, here it is!